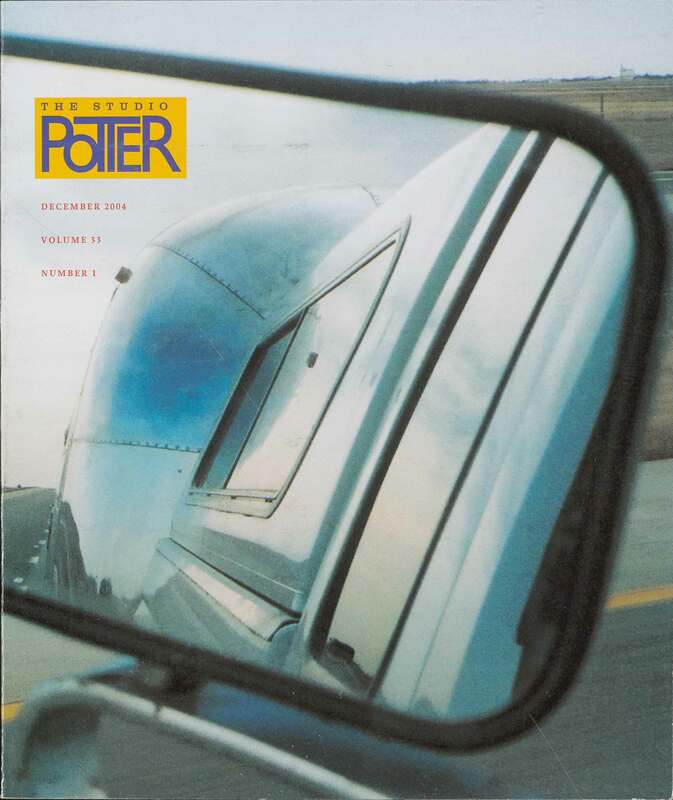 Studio Potter welcomes submissions from potters, artists, scholars, educators, and others with special interests in writing and reporting on topics and events that matter in their personal and professional lives. Though we are primarily focused on the ceramic arts, the breadth of our articles reaches into broader arts and crafts fields, such as culinary arts, and even into related fields such as anthropology, history, economics, and politics. Our focus is on writing in the first-person narrative style. For full submission guidelines and image specs or to discuss your contribution, please contact Elenor Wilson via editor@studiopotter.org. The podium is yours. For this issue, SP welcomes contributions on any ceramics-related subjects in any style—interviews, first-person narratives, historical essays, reports on technical research, or others. Deadline for submissions: May 1, 2019. As an SP reader, you are likely a collector of pots; you may be a part of a potters’ collective; your work may be a part of a private or public collection. Contributions to this issue exploring the base term, to collect, and any of its suffixes are welcome. Deadline for submissions: October 1, 2019. The length of articles varies but generally ranges from 500 to 5,000 words. Acceptable formats include Microsoft Word documents (.doc or .docx), Rich Text Format (.rtf) files, or Pages documents (.pages), sent as an e-mail attachment. Please do not submit PDFs and do not include images in your text document. Visuals are arranged with authors after acceptance of text. Please contact editor@studiopotter.org for the full submission guidelines. If you are unsure about compatibility or transmission, please check with our editor and allow extra time. Your article may need to be edited for length and clarity as well as for grammatical and spelling errors. Our editor views her job as that of “first reader” and may have questions or suggestions about your piece. The aim will always be to retain your voice and help you get to the best possible version of what you have to say. If you are unsure about your writing, it may help to submit a first draft (again, allow extra time for this and check first). Editorial decisions are final, but we will not make substantive changes to your article without your permission. Studio Potter includes a short (one- to three-sentence) bio at the end of each article, along with an address (mailing, plus e-mail and website, if desired) where you may be reached. Please include this with your article. We welcome and encourage direct communication between readers and authors. If we publish your article, you as the author retain copyright in the text, but Studio Potter owns the copyright to the entire issue in which it appears (known as a “collective work”). You agree to provide Studio Potter a royalty-free license to publish, reproduce and distribute all or any part of the article in any and all forms of media, and to authorize third parties to do so. This license is exclusive to Studio Potter for a period of one year after the publication of the issue in which the article appears. After that one-year period expires, the license is nonexclusive, and you are free to publish or license the article to other publications, provided that a credit line accompanies the article indicating that it first appeared in Studio Potter and including the volume and number. Studio Potter makes every effort to credit each article and image appropriately, if you think that any of our content is in violation of copyright, please notify us.